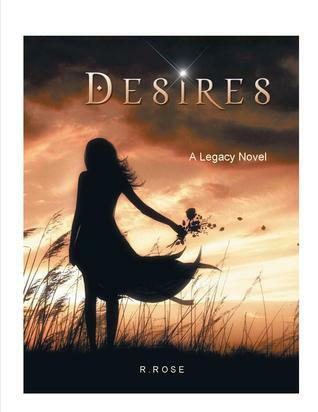 “Desires (A Legacy Novel)”, the first book in the Legacy Novel series, is available now in hardcover, soft cover, and eBook. “Malevolence (A Legacy Novel)” will be out later this year. I am also working on another urban fantasy, “She Who Watches” that is based on a Native American legend. It should be out later this year, as well. When I was in college, my English teacher (who was actually the Psychology professor) asked us to write five pages in the format of a romance novel. I had been reading romance novels for quite a while and just knew I would get an “A” as I jumped eagerly into the project. When it was graded, he returned it with a note saying “No man could make love all night after being shot in the shoulder.” Well…obviously the man had never picked up romance novel in his life. He must have been inaccurately projecting his inadequate manly prowess onto my buff and totally hot character (who was only winged by the bullet). I received a “C” on the paper, but I was hooked on writing. I still have the paper. After that, I began entering every writing contest I came across and read mountains of books on becoming a writer. During a genealogy search I came across a thread called “Clancy’s Pub.” It was a site for those with Irish ancestors, but (true to our Irish blood) there were a number of talented writers in the group. We began writing spontaneous stories on the threads, which really expanded my writing abilities. Now that I have a book in print, I do not intend to ever stop writing. It is currently available through Amazon, Barnes and Noble, Powell’s Books, Sears, Abbott Press Bookstore, and a number of book markets. I wake up early to check emails and social media sites while I have my coffee. Next, I usually work on marketing, etc. in the mornings since I am on the west coast and my publisher is on the east coast. I do most of my actually writing in the late afternoon and evening until I go to bed. Unless, of course, if it’s raining. My imagination seems to work overtime when the weather is stormy and I will usually put on a pot of tea and write all day. In “Desires” I would have to say James is my favorite. He is a gorgeous, totally hot guy that is so in love with Eléan that other women don’t really register with him. Who couldn’t see themselves living “happily ever after” with someone like him? When I read, it is for the joy of reading the story. I let my imagination take me into the book so that I can feel the emotions that the author is trying to convey. I can’t do that if I am looking for flaws. I think the only time I ever had a problem with “errors” in a book had nothing to do with the author. I was reading one of Richelle Mead’s books. It was just getting to a really good part when “bam,” my book was missing 20 pages. I ended up driving almost 40 miles to get to a bookstore for a copy that had all the pages. What can I say…she’s one of my favorite authors. I listen to an eclectic mix of music. My imagination mixed with music is like throwing gas on a flame. I can hear something that will send my imagination into creative overdrive. I will play that song over and over while I am writing a particular scene to keep my emotions in a certain range. Of course, it often has that “Pavlov’s dog” effect and I can be somewhere public, hear a song and get battle ready or burst into tears. Yeah, I guess every job has it occupational hazards. I tend to drink a lot of herbal tea when I write. In fact, I always have a pot on a warmer next to my computer. If I am having intense brain-taxing days I might snack on Gluten-free pretzels or baby carrots; any worse than that and I go straight for the chocolate. Starbuck’s Sugar-free Cinnamon Dolce Lattes. I love them! I love the “Lord of the Rings” trilogy. I read…a lot! I always have a book with me. I can lose a whole day in book if I am not careful.